OEM specified. 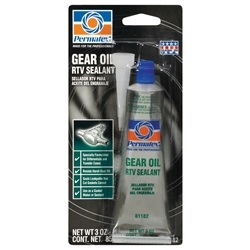 Specially formulated to withstand the harsh gear oil environment found in differentials and transfer cases. Because gear oil has friction modifiers that break down normal RTV and cause leaking, this specialty silicone has been tested to OEM specifications to ensure complete sealing. As a gasket maker it seeks and seals leak paths that cut gaskets cannot.